Mahmoud Abbas was stunned and enraged when U.S. President Donald Trump decided to recognize Jerusalem (no coordinates specified) as Israel’s capital last December. It’s a “reality on the ground”, Trump said – no mention of conquest, annexation, a continuing military occupation, and abandoned negotiations. Trump also declared, in the same December 6th speech he delivered, in front of VP Pence and multiple decorated Christmas trees, that he’d move the US Embassy to Jerusalem – in direct contravention of the UN Security Council’s resolution 478 (August 1980). A consequential part of Trump’s decision is the opening of an interim US Embassy, in the Arnona area of south Jerusalem on May 14, timed to coincide with Israel’s 70th Independence Day anniversary by the Common Era calendar. That’s also the day before Palestinians mark the Nakba, or catastrophe, of their dispossession in 1947-1949, when some 75% of all Palestinians were forced out of their homes, lands, and villages; most have been barred from returning. The immediate response to Trump’s Jerusalem declaration were calls for “Day of Rage” demonstrations, to “confront the occupation”, sometimes several times each week, in both the West Bank (where protests are prohibited by military regulations) and in Gaza. These calls were initially backed by all Palestinian factions: Fatah’s deputy leader Mahmoud Al-Aloul was one of the few in the leadership who participated in the first one in Ramallah. The protesters in the West Bank are mostly young, and they go with their friends. The Gaza marchers faced worse conditions. Three months later, a coalition in Gaza organized a “Great Return March” to take place at Gaza’s perimeterfrom Palestinian “Land Day” on March 30, to Palestinian “Nakba (Catastrophe) Day” on May 15. Though it wasn’t a Hamas initiative, it was impossible to miss the level of organization and the amount of resources that Hamas has contributed. Approximately 2/3 of the population of Gaza are refugees from 1948. Return has been the priority demand of Hamas since its founding in 1987. A number of the marchers would like to march straight across Israel’s security fence. The “peaceful masses moving forward” strategy was already tried in the West Bank, though on a smaller scale, and without backing from the leadership in Ramallah, in 2011. The call was simply to enter Jerusalem. There were not many marchers, and they didn’t get past Qalandiya Checkpoint. The real drama happened elsewhere: in the heady days of the Arab Spring, on Nakba Day (May 15) and then on Naksa Day (June 5) in 2011. In May 2011, Nablus millionaire Munib Al-Masri’s grandson, also named Munib, and then 22, was badly wounded by Israeli fire in Lebanon near the border, and has been permanently paralyzed as a result. In June 2011, Palestinians from Yarmouk Camp near Damascus, Syria were bussed to the Golan and marched across marked mine-fields.. Refugees and their supporters in Lebanon were also bussed down to the Israeli border, and also tried but were unable to cross. Reports say 10 to 14 Palestinians were killed, mostly in the Golan. However, Israelis adamantly refuse the idea of any return of Palestinian refugees, and say it would pose an existential threat. Just ahead of the Gaza Return March that began on March 30 (Land Day) in 2018, the Israeli military went on war footing, saying they fear an invasion of tens of thousands of protestors from Gaza. IDF Chief of Staff warned in advance – and deployed – 100 snipers at the Gaza perimeter, who have since taken a high toll, especially in the first four weeks of the Great Return March. Five Israeli and one Gazan human rights groups have petitioned Israel’s Supreme Court to stop the IDF from using snipers and live ammunition to stop the civilian demonstrators in Gaza – the first time this has happened. However, Israel’s Supreme Court prefers to help the Israeli government become better without public confrontation or rebuke. And there has been an apparent change in the IDF’s rules of engagement. On May 4, for the first time in six weeks, no killings were reported, and there were fewer than 200 reported injures, rather than thousands. Almost 50 Palestinians have been killed at the Gaza perimeter since March 30 and over 8,500 people injured, straining Gaza’s health care resources to the limit. 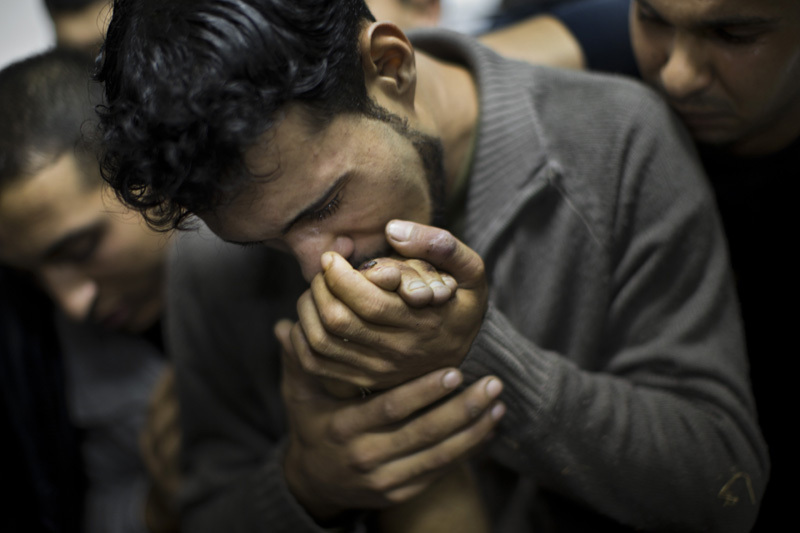 (9 May: Spokesman for the Ministry of Health: 47 Martyrs, including 5 children, and 8536 wounded by IOF gunfire since the start of the return marches on the borders of the Gaza Strip. https://twitter.com/qudsn/status/994268438293041154 ) Some of those injured will be permanently disabled. Overall, since Trump’s December 6 announcements about Jerusalem, about 100 Palestinians have been killed by the IDF in both the West Bank and Gaza. Pres Abbas declared a day of mourning on the day after the March 30 Land Day demonstration at the Gaza periphery — but nothing since, other than a statement in his opening speech to the PNC on April 30 saying that children should be kept away from the perimeter. Other Palestinian media say that calls have gone out for have at least 2,000 Jews to go up to the site on Sunday, May 13 – which, this year, is “Jerusalem Day”. Trump, however, believes that he’s taken the issue off the table, claiming to have solved this most contentious of issues all by himself – though it’s been internationally agreed since the Madrid Conference in 1991 that Jerusalem is a final status issue that must resolved through Israeli-Palestinian negotiations. Abbas waited for six weeks before convening the PLO’s (Palestine Liberation Organization) Central Council in mid-January, where he exploded in anger at Trump: In a televised speech, Abbas responded furiously to Trump’s assertion that the Palestinians had refused negotiations (“What negotiations?”, Abbas asked, in frustration “When did we refuse to negotiate?”). Abbas then cursed (“yikhrab beitak”, may your house fall into ruin). It made headlines all over the world. Abbas strategy, based on his calculation of the imbalance of power and the few tools at his disposal, has been to wait. Palestinians are the weaker party, so they must wait. Abbas has himself suggests that this is a manifestation of the traditional Palestinian virtue of sumoud (steadfastness). “We are here and we’re staying here”, Abbas had said on a number of occasions. Abbas has waited for Prime Ministers to resign, for Presidential elections, for new administrations to read-in on issues, for circumstances to change, for public opinion to move. He waited for President Donald Trump to call (the call came in March 2017), waited for an invitation to the White House (he went on May 3), waited for Trump to come to Bethlehem (that was on May 23), to meet Trump at the UN (September 20) when Trump said to Abbas in front of the cameras: “I certainly will devote everything within my heart and within my soul to get that deal made”. Zomlot said in a presentation at the Middle East Institute (MEI) in January that he’d lost count of the many meetings he’d had with Trump’s team, Jared Kushner and Jason Greenblatt (but Abbas said in September it was “more than 20 times” https://www.whitehouse.gov/briefings-statements/remarks-president-trump-president-abbas-palestinian-authority-bilateral-meeting/ ). But they were blindsided when Trump announced his Jerusalem decisions. Zomlot said he felt “backstabbed”, and angrily added that “President Trump reneged not only on the long-held US and international policy but also reneged on his own promises”. But, Zomlot recounted, Trump avoided doing so. Zomlot, citing Trump: “I did not endorse the two-state solution because I do not want to impose, I do not want to dictate, I do not want to influence, I do not want to tell the two sides what to do”. Then, Zomlot said at MEI, as if addressing Trump: “You come all of a sudden and you decide to take the heart of the two state solution out, the core of all issues, the mother of all issues – Jerusalem”. Months later, Abbas convened the Palestine National Council (PNC) –“the supreme authority of the Palestinian people in all their places of residence” (https://www.palestinepnc.org/en/) – to deal with the challenge in Jerusalem, and also, significantly to “protect Palestinian legitimacy”, under challenge on many fronts. This PNC 23rd Session was held in the tightly-guarded and secured presidential compound in Ramallah, the Muqata’a, from April 30 to May 4 – convened as a matter of urgency, after several postponements in recent years. The last full PNC session was in Gaza in 1996. There was a strong but ultimately unsuccessful campaign of opposition to this PNC session, a sign of growing frustration with the worsening of all conditions in the West Bank and a dramatic desperation in Gaza. Ohio-born American-Palestinian businessman Sam Bahour, who isn’t a member of the PNC, but who is a civil-society advocate for Palestinian development and Palestinian rights, said he was disappointed: “First, its location and the insistence by Chairman Abbas that we are free political subjects while under Israeli military occupation. He knows better and so does every Palestinian. Secondly, the membership continued to be defined and revised in a nontransparent and unrepresentative fashion. Thirdly, the session’s substance was weak at best, regurgitating the same worn out long diatribes. Lastly, the composition and median age of the elected PLO Executive Committee leaves much to be desired for a people whose national liberation movement is being seriously challenged”. The PNC (established in Gaza in 1948) sets policy for the PLO (established at a meeting of the PNC in Jerusalem in 1964). The PNC also elects (by a show of hands, in open meetings; it’s always been that way) the PLO’s two ruling organs/bodies – the 18-member Executive Committee, and the 100-member Central Council. The PLO was recognized by the UN General Assembly in 1974 as the “sole legitimate representative of the Palestinian people”, and admitted as an observer organization in the UN General Assembly. It was the PLO which established, under the Oslo Accords and with Israel’s assent, the Palestinian Authority, in 1994, ostensibly as an interim authority. Past PNC Sessions have adopted some key decisions. Under iconic leader Yasser Arafat: there was a deciion to establish a state on any inch of liberated Palestine, with its permanent capital in Jerusalem/Al-Quds (in its 12th Session, held in Cairo in 1974). In Algiers in 1988, the 19th PNC Session approved the Declaration of the Independent State of Palestine with Jerusalem/Al-Quds as its capital. As President Abbas said, “it is our homeland”. Davis added, with approval and pride: “President Mahmoud Abbas, Abu Mazen, is the only Arab leader to my knowledge in the Middle East who actually said ‘No’ to Trump”. “Hamas refused membership in the PLO and in the Palestine National Council on a number of bases, or better say pretenses, one of which is its rejection of the Oslo Accords”, according to Davis. “I first learnt of it when it was published, and I had serious reservations…for the simple reason that it distinguished between an interim state of negotiations (or interim status) and the permanent status”. “The PLO is the representative of the Palestinian people, there’s no question about it”, Davis said. “Any body, corporate body, that seeks to modify or reject or nullify or reiterate the Oslo Accords has to do it from within the structure of the representative body. Don’t just condemn the Oslo Accords from the outside. If you’re serious about it, do it through the by-law + regulations of the PNC”. Hamas – which had been negotiating its possible entry into the PLO since 2005, if not earlier (it wanted a larger representation in the PNC than Fatah was willing to give) – may have missed a good chance, if it ever actually wanted to join the PLO. All 132 members of the PLC received identical invitations to participate in the PNC session, a PNC official told this reporter, including the 74 elected Hamas MPs (though some of them are in Israeli jails). But none showed up, including any of the few who live in the West Bank. Unexpectedly, there was sustained criticism during the PNC Session of sanctions Abbas imposed against Gaza a year ago – which include non-payment of salaries to employees in Gaza. Abbas ordered electricity cuts last April, in order to coerce Hamas to return the control of government institutions in Gaza following the June 2007 “split”. The Abbas sanctions follow ten years of worsening electricity crises, exacerbated by devastated infrastructure only partially repaired after three major Israeli military operations, and with tens of thousands of people in Gaza living in still-unrepaired homes or apartments. Dr. Mustafa Barghouti is a medical doctor, a politician, and a member of the PNC. “In the conference”, Dr Barghouti said, “everybody, including myself, emphasized the necessity to remove and cancel all punitive acts against Gaza, including cutting the salaries, or reducing the salaries, of PA (Palestinian Authority) employees”. Dr Barghouti got his start in politics by running against Mahmoud Abbas in the special January 2005 elections to replace the late Yasser Arafat as President of the Palestinian Authority; Barghouti got 19% of the vote. Barghouti then stood in the January 2006 PLC election and won a seat. But, Dr. Barghouti said, this PNC Session was the first for his political party, Mubadara (Palestinian National Initiative) – which he says is the youngest Palestinian movement. Barghouti said the agreement to allow Mubadara join the PLO was made in March 2015, “ten years after we applied – it took ten years”. How did it happen? “Oh, I made a speech”, Dr. Barghouti said. “I said, to the (PLO) Central Council ‘We’re celebrating the tenth anniversary of our application, so you have to say either yes, or no’. I told them, ‘if you are worried about us because we differ with you politically, how will you be able to absorb Hamas and (Islamic) Jihad in the future?’ And, I said, ‘if you think we’re too young, what would you say to the real young people who are waiting without being represented in most leadership structures?’…We also talked to the different groups, to Mr. Abbas and others – and eventually, we finally got in, after ten years”. Hamas kicked Fatah-led Palestinian Preventive Security forces out of the Gaza Strip in June 2007 after a few weeks of shockingly cruel clashes, amid reports of U.S.-backed Fatah plots against Hamas. Even before, Israel had sealed shut its land crossings to Gaza; after 2007, the IDF were allowed to implement a plan of progressively tightened sanctions that intended to reduce imports to Gaza by 15% each month, to the bare minimum needed to sustain life (at one point, only 13 categories of commodities were allowed in); Egypt allowed supplies to pass through Hamas tunnels for years, but after overthrowing elected Muslim Brotherhood President Mohammed Morsi, Egypt’s President Sisi still keeps the Rafah crossing largely closed. Three IDF full-scale military operations have been carried out on Gaza between December 2008 and August 2014. and the codification of an Israeli maritime blockade to stop the arrival of “Freedom Flotillas”. A reconciliation was announced in June 2014, during which Hamas ministers resigned their posts to allow ministers newly-sworn-in by Abbas to take control. Abbas made it clear at the time that he required complete surrender, and soon complained that a Hamas “shadow government” (some 26 or 27 deputy ministers, he said) was still in place. There’s another fundamental difficulty: Abbas has insisted that Hamas must put not only its security forces but also its entire military arsenal under Ramallah’s control. Now, there’s also a tenacious Palestinian financial dispute about who, exactly, should pay the government employees in Gaza their arrears, and going forward. Unresolved, despite June 2014 declarations that a committee had been formed to start work right away to deal with the evident problem of merging two administrations, little to nothing was done. So, there’s the matter now of deciding who the government employees are who should be paid: those hired by Hamas in Gaza since the 2007 split, to keep the work of government functioning? Or, those loyal to Ramallah – some tens of thousands ordered by Ramallah to stay home and not work for Hamas after the 2007 split, but who received their salaries for the following decade? No vetting has taken place to determine who among them are most qualified and should be retained, who should be removed, and who should be retired. And after unrest followed a few heavy-handed decisions ordering mass retirements, the directives were rescinded, or suspended, it’s not clear. The issue of financial transfers under sanctions placed on Hamas has been only temporarily resolved. Meanwhile, Donors have lost patience and cut their subsidies to Palestinian institutions in Ramallah, causing looming financial problems. Mamoun Abu Shahla, Palestinian Minister of Labor since the formation of the June 2014 Government of National Consensus, is from Gaza, but spends part of his time in Gaza and part in Ramallah. He’s now on the PLO Central Council. He spoke about Hamas maintaining a “hidden government” Asked about the sanctions on Gaza, at a conference the day before the opening of the PNC Session, he replied: “If you want to rule Gaza, take all the responsibilities, or give it to me: this is the decision of Mr. Abbas, and the government here in total. I am not going to be the cash machine. If you want me to rule Gaza, give me all the power, and I shall be responsible for everything. If not, go, continue, keep everything in your hands, do whatever you like, pay all the dues for Gaza. But you cannot imagine that every day and night you are shouting against me, and asking me at the end to pay for the life of your government. So that’s it. It is a political story”. At the end, Abbas made a surprise announcement in his closing speech to the PNC Session, saying that the salaries for Gaza employees and beneficiaries will be paid “tomorrow”. There had been an unspecified “technical problem”, Abbas said. But, he was not terribly sympathetic to his compatriots in Gaza: “We are not an oil-rich state”, he said, and salaries have also been cut in the West Bank on multiple occasions –“Remember 2006?” Abbas was referring to the sanctions placed on everybody in the occupied Palestinian territory by Israel and the entire donor community after Hamas won the majority of seats in the 2006 PLC elections. Dr. Barghouti was wary about the Abbas announcement of payment: “The political decisions that were made (in the PNC) were what we wanted, (but) the test is in the implementation…We have to wait and see the results…We have to see if it’s happened or not, because when the general communique came out, that resolution was not in the communique”, although he said many people in the Council “emphasized very much this issue and the need to remove it…Because we think it’s punitive, it’s illegal, and it contradicts the law, it shouldn’t happen. It’s inhuman…I hope this issue will be resolved”. This situation is still not clear. (Some reports say that ATM machines in Gaza distributed 80% of one month’s salary on May 3, the same day salaries were paid in the West Bank, when two months’ salaries were due in Gaza). . Although passage to and from Gaza via Israel’s crossing points is severely restricted by the Israeli military, until now we have been fortunate to be granted entry permits. But, our recent request for entry has been refused – without explanation — despite the Israeli general claim that restrictions are easing. As osteopaths and acupuncturists we have volunteered in Gaza and the West Bank over the last five years, treating those with limited access to health care. We have made eight trips to Palestine since 2008 , and worked three times in Nablus before concentrating more on Gaza. Our motivation is neither political nor religious, but rather simply to help relieve suffering. We are, however, strongly opposed to the inhumane treatment of the people of Gaza, and concerned at media under-reporting of the lives of the Palestinian people. This leaves room for virtually-unanswered parodies about the high life lived by some of Gaza’s rich and privileged – a life which the international media sees and even shares during their visits to the Gaza Strip. These parodies have been devised and promoted by Israeli government officials whose responsibilities include dealing with the media. Pro-Israeli organizations working to influence the media have also produced similar pointed commentaries. But, the existence of this apparent paradox does not in any way negate the reality facing many of Gaza’s 1.6 million Palestinian residents who are poor and suffering and struggling. Waiting once at the Erez crossing, we spoke to a foreign journalist who explained that Israel banned all its journalists from working in Gaza after Israel’s “disengagement” in 2005. While Israelis are now barred from personally witnessing what is going on in Gaza, the vast majority of Palestinians in Gaza, meanwhile, have no way to move in or out of Gaza, from which Israel carried out its unilateral “disengagement” of some 8,000 Israeli settlers and the Israeli forces protecting them in September 2005. The “protection” the Israeli forces offered in Gaza, however, was only for the Israelis; the Palestinian population living under Israel’s military occupation suffered from severe clamp-downs on their own internal movement, and the military firing that constituted much of that “protection”. We witnessed life in Gaza under the sanctions imposed in mid-2007 by the Israeli government and administered by the Israeli military, when Hamas took control in Gaza after its rout of Fatah/Palestinian security services. There have been recurring hostilities ever since, including two large-scale Israeli military operations against Gaza. The sanctions include denying millions of Palestinians the right to travel to and from Gaza, and are still in effect, although they were “adjusted” after the international outcry following Israel’s May 2010 interception of the Freedom Flotilla and boarding of the large Turkish passenger ship, the Mavi Marmara, during which 9 Turkish men were killed. These sanctions, however, are collective punishment – which is forbidden under international law. On one visit, we walked through the Israeli crossing at Erez and out through a long cage in “no-man’s land” inside Gaza, and were waiting for a car to take us to the Hamas border control, when a bomb exploded uncomfortably close. An old man sitting on the ground looked up at us and said “bad”. That pretty much sums up life for many, as we saw it, who are now locked inside Gaza. Photo of the Year international – First Place General News – "Last Kiss"
This is a gorgeous and moving photo. The composition, the color, the gesture, the hands — gorgeous, and immensely emotional. It was taken in Gaza, during the IDF’s Operation Pillar of Defense or Pillar of Clouds last November. “Last Kiss” won First Place in the General News Category of the Photo of the Year International [POYi] contest. The photo was taken by Spanish photographer Bernat Arnangue, of Associated Press, currently based in the Middle East covering the Israeli-Palestinian conflict. “Last Kiss” was announced as the First Place winning photo in the General News category today, and it’s published here. Winning photographs in all categories judged during the first session are posted on the POYi Web site at www.poyi.org. The POYi website days that “Photographs are posted without credits until judging is complete. This is to protect the anonymity of entrants across all categories because many images are entered in multiple categories. Once judging has concluded and POY has verified all winning entries, final results will be announced”. Judging judging of all categories will be concluded on 27 February. The Photo of the Year International contest [POYi] is a program of the Donald W. Reynolds Journalism Institute (www.rjionline.org) at the Missouri School of Journalism. Posted on 8 February 2013 Author Marian HoukCategories Gaza, Journalism and Journalists, Palestine & PalestiniansTags First Place, Gaza, General News, journalism, photojournalism, Picture of the YearLeave a comment on Photo of the Year international – First Place General News – "Last Kiss"
This man’s remarks deserve a separate entry all to themselves. Giora Eiland, a retired Major-General in the Israeli Defense Forces, and former head of Israel’s National Security Council, has written a piece published by YNet, here, in which he attempts to justify attacks on what he called “national infrastructure targets” – in Gaza, in this case. Eiland — apparently trying to amend longstanding principles of international war — wrote that that national infrastructure targets should be considered more military than civilian targets. “Such targets, which include government buildings, fuel caches, communication centers, bridges and the power system, are legitimate in the event of a military conflict between two countries, and this was the exact situation between us and Hamas”. Eiland’s new argument depends on seeing Gaza as a state. As he wrote today, “Israel is not fighting terror organizations but a state. Gaza became a de facto independent state in as early as 2007, and that’s a good thing. Israel is always better off facing a political entity which serves as a clear address, both for deterrence purposes and for an agreement, than a situation in which the government is formally in the hands of one body but the ability to use fire is in the hands of others”. By this line of argument, the Ramallah-based Palestinian Authority is not a “clear address”, as the IDF rules the West Bank. Eiland continues: “Because Gaza is a state which initiated ongoing rocket fire on Israel, in a military conflict the right thing to do is to hit all the targets serving the rival regime and allowing it to continue controlling and conducting a war against us“. Therefore, Eiland writes, “The operation can and should be expanded against the state of Gaza, yet not necessarily through a ground offensive but by causing much greater damage to the infrastructure there”. destroyed, and had the government buildings and police stations been destructed, we could have estimated with greater confidence that deterrence had been achieved. This is an important lesson ahead of the next war, and as important in regards to Lebanon. If we conduct the ‘Third Lebanon War’ exclusively against Hezbollah’s military targets, we may lose it”. Eiland writes: “Hamas is the establishment in the state of Gaza … [and] we missed an opportunity to extensively damage Hamas’ ruling abilities, guaranteeing even greater deterrence, which was the main goal of the operation”. “The Gaza Strip is now in its 46th year of occupation, 22nd year of closure, and sixth year of intensified closure. The resulting normalization of the occupation assumes a dangerous form in the Gaza Strip, whose status as an occupied territory has ceased to matter in the West; the attention has shifted — after Hamas’s 2006 electoral victory and 2007 takeover of the territory — to Gaza’s containment and punishment, rendering illegitimate any notion of human rights or freedom for Palestinians. The Israeli government has referred to its siege policy as a form of ‘economic warfare’ … which was achieved through an Israeli-imposed blockade that ended all normal trade”. B’Tselem [summary executions are categorically prohibited]: “International law categorically prohibits the extrajudicial killing of civilians – regardless of the allegations against them”. This is written in a statement concerning the public killing of 7 men during the IDF’s Operation Pillar of Clouds who were accused of being “collaborators” with Israel. Some senior Hamas officials, including deputy politburo chief, Mousa Abu Marzook, condemned these executions. [See here.] It is not clear whose idea these executions were. This B’Tselem statement is posted here. Of all the surprises that emerged from the IDF’s Operation Pillar of Clouds, one of the most significant is the pair of statements — after the cease-fire agreement — by the two top Hamas political leaders indicating their support for a Palestinian state. Hamas was supposed to have done this before [several times], but then swiveled. Now, just after the cease-fire, Khaled Meshal, long-time head of Hamas political bureau, said Wednesday night in an interview with CNN’s Christiane Amanpour: “I support a Palestinian state in 1967 borders with Jerusalem as its capital + the right to return”. This was posted at here. This interview can also be viewed here. Amanpour was part of the caravan of top media stars who had flocked to Israel and to Gaza, with their entourage of producers and camera persons and assistants, during Operation Pillar of Clouds. She had been reporting in Israel. Then, suddenly, she Tweeted on Monday that she was heading to Cairo to do the interview with Meshal. Then, on Tuesday 20 November she Tweeted @camanpour — “En route to Cairo for an EXCLUSIVE interview with Hamas’ political leader Khaled Mashal”. The cease-fire was announced late on Wednesday 21 November, in a joint media appearance in Cairo by U.S. Secretary of State Hillary Clinton and Egypt’s Foreign Minister Mohammed Amr, It was confirmed by a press appearance in Jerusalem by Israeli Prime Minister Benyamin Netanyahu, flanked by Defense Minister Ehud Barak, and Foreign Minister Avigdor Lieberman. Then, by a press conference in Cairo by Hamas’ Khaled Meshal, on an adrenalin high, and Islamic Jihad’s Ramadan Shallah. In Amanpour’s interview, aired shortly after that, Meshal spoke in the first person: “I support a Palestinian state in 1967 borders with Jerusalem as its capital + the right to return”. But, what did that mean? Was Meshal indicating that this was just his personal position? The next day, Haniyeh appeared to repeat what Meshal said. Haniyeh and Meshal are the two top political leaders of Hamas. However, Haniyeh noted that he would like to see a Palestinian state on “all Palestinian land”. With these statements, Haniyeh and Meshaal seem to have dispelled concerns that they might be working for a separate state in Gaza. More than that — Hamas in Gaza and the Palestinian leadership in the West Bank now appear to agree on pursuit of state recognition within the UN. In a day-after, post-cease-fire press conference in Gaza on Thursday, Hamas leader Ismail Haniyeh seemed to say he supported Abbas’ move to get acknowledgement and acceptance of Palestinian statehood within the 1967 borders and with Jerusalem as its capital — with the right of return. A Hamas official later reportedly denied that Haniyeh said this. But, even later, Hamas officials were indicating that Hamas will, at least, not publicly disagree with the Abbas move. FURTHER UPDATE: On Monday 26 November, after the confusion described above, Ma’an News Agency posted a story saying that “Hamas chief-in-exile Khalid Mashaal telephoned President Abbas on Monday to confirm the Islamist movements’ support for the upcoming UN bid, the official news agency Wafa reported”. This is posted here. The Wafa story is posted here. UPDATE: The New York Times reported Saturday, here, that “[Ahmed] Yousef, a former Haniya adviser who now runs a research organization…said Hamas, which has opposed the United Nations bid almost as vociferously as Israel, would no longer speak against it. Asked about his vision for a Palestinian state, Mr. Yousef’s contours echoed those of Mr. Abbas: 1967 borders, with Jerusalem as the capital”. The NYTimes described Yousef as “an analyst close to the Hamas leaders”. UPDATE: Daoud Kuttab wrote on the Huffington Post site here that “Mohammed Ramahi, a Hamas legislator and spokesman for the group’s parliamentary faction, has told Al Jazeera that Hamas will support the UN initiative”. UPDATE: AFP reported that in a Ramallah rally organized to support the UNGA move, “Abbas said the attempt to secure upgraded status was backed by many UN member states and by all the Palestinian political factions…Abbas reportedly told those assembled: “Today, the UN. After that, reconciliation, and after that, our own state”. UPDATE: Ma’an News Agency reported that “President Mahmoud Abbas met Saturday evening with Hamas figures in the West Bank at his Ramallah office, according to sources present at the meeting. The meeting discussed Abbas’ bid for upgraded UN membership, due for a vote on Thursday, as well as reconciliation between Hamas and his Fatah party, attendees said. Nasser al-Shaer, a former government minister and Hamas deputy, said after the meeting that he supported the UN bid.” This is posted here. UPDATE: Adam Shatz has just written in the London Review of Books that “If Israel were truly interested in achieving a peaceful settlement on the basis of the 1967 borders – parameters which Hamas has accepted – it might have tried to strengthen Abbas by ending settlement activity, and by supporting, or at least not opposing, his bid for non-member observer status for Palestine at the UN. Instead it has done its utmost to sabotage his UN initiative (with the robust collaboration of the Obama administration), threatening to build more settlements if he persists”. UPDATE: Daniel Levy [Senior Fellow and the Director of the Middle East and North Africa Programme at the European Council on Foreign Relations and a Senior Research Fellow at the New America Foundation — and the real drafter for the Israeli team of the Geneva Initiative] this week wrote that Hamas has helped develop and push forward the promotion of a real Palestinian state with state status in the UN: “the idea of any future peace arrangements including a Palestinian agreement to demilitarization just became more remote … Fatah and the PLO cannot be dismissed in Palestinian politics, but their longstanding approach of currying American favor, in the hope of delivering Israel absent the creation of Palestinian leverage and assets, has run its course. They appear to have missed the boat in leading a popular campaign of unarmed struggle and the PA’s security cooperation with Israel looks distinctly unseemly in the eyes of many Palestinians…And a likely U.N. General Assembly vote on Palestine observer state status has in all likelihood been reduced to a sideshow … This past week demonstrated that Europeans not only lack a coherent policy to the Palestinians; they are also missing such a policy vis-à-vis Israel … If the Palestine vote takes place at the UNGA, Europe should vote in favor not because of some mathematical computation of strengthening one Palestinians faction at the expense of the other, but rather because it is the right thing to do if Europe is committed to a two-state outcome. Europe might also be useful in utilizing some of the leverage it has with Israel as an outrider to an America still boxed in by its own politics…Russia and China will have enjoyed embarrassing the Americans and some Europeans this week at the UN Security Council over the Palestine issue [Gaza] by siding with Arab parties. It’s something they are likely to indulge again next week if the Palestinians go for a UN vote”. Daniel Levy’s analysis is posted here and here. After last night’s cease-fire in Gaza, the IDF says it has now arrested — “in cooperation with the ISA [Israel Security Agency], Israel Police and the Israel Border Police” — some 55 people said to be affiliated Hamas + Islamic Jihad, from the north to the south of the West Bank. According to the IDF announcement, they include “a number of senior level operatives” — but the IDF published no names. The official IDF explanation is: it will “to restore calm”. In the past eight days, there has been unrest and protest demonstrations around the West Bank against the IDF Operation Pillar of Clouds against Gaza, and at least 62 protesters against Operation Pillar of Clouds were detained by the IDF during the operation in Gaza. However, almost none of these protests are organized by Hamas or Islamic Jihad, who take a quite low-key profile in the West Bank. Nor is it Hamas or Islamic Jihad who send young men out to throw stones whenever they see jeeps of Israeli soldiers in the West Bank. Hamas officials have regularly been arrested ever since their electoral victory in 2006 Legislative Council elections. Islamic Jihad activities were “prohibited” in the occupied Palestinian territory by a decree of Palestinian President Mahmoud Abbas on 6 October 2010. Until last night, most of the West Bank unrest has been due to protests led by a combination of the popular committees and the younger anti-Oslo Accords, anti-PA, anti-Abbas protesters who came together last year in support of Egypt’s Tahrir Square revolution. One of their main platforms is the call for a revival of, and world-wide Palestinian elections to, the Palestine Liberation Organization’s Palestine National Council [PNC]. .
Hamas is not yet a member of the PLO, despite an agreement in Cairo in 2005 that this would happen. What prevented Hamas’ joining the PLO was a tough position by Fateh “unity” negotiators against Hamas getting an allocated percentage of seats in the PNC proportional to the more-than-60% seats it won in the local Palestinian Legislative Council in 2006 elections. The Fateh negotiators were firm that Hamas did not deserve more than 20-25% of the seats in the PNC, which the Fateh negotiators insisted was the true strength of Hamas. Those who were arrested this week, until last night, were the younger more secular crowd. Addameer, a prisoners support group based in Ramallah, Tweeted this: @Addameer_ps – There has been a spike in arrests across the West Bank since the Occupation attacked #Gaza last week. Those who thought there might really be a cease-fire yesterday have been disappointed. There is no cease-fire. There is a lot of diplomatic pressure, but it does not seem very effective. Clinton arrived in Israel around 21:00, and went in the dark of night to see Israeli Prime Minister Benyamin Netanyahu. The two made a brief pre-set formalistic press appearance, and then went into a meeting. In her public statements, Clinton first spoke of America’s “rock solid and enduring” support for Israel’s security. A full transcript of her remarks and of PM Netanyahu’s, with a video, is posted on the State Department website here. The Obama Administration’s first huge crisis — even before actually taking office — was the last huge Israeli military operation against Gaza, Operation Cast Lead [27 December 2008 to 18 January 2009], which ended at the insistence of Obama’s people literally hours before his inauguration ceremony. A day after being sworn in, Barack Obama’s first international phone call as President was to Palestinian President Mahmoud Abbas. He appointed Senator George Mitchell as envoy, and gave the impression that he would deal with this problem strongly and seriously. Israeli settlements were identified as the major obstacle to a political solution, and Mitchell had written an earlier report that pointed to the settlement problem. But Israel under Netanyahu, whose party won national elections in February 2009, dug in its heels. Every trick in the book was pulled out, and settlements were expanded and entrenched. The U.S. caved in and gave up. Mitchell eventually was removed as Special Envoy. As Palestinian negotiators have said, Israeli negotiators only wanted to talk about security. So, the Obama administration changed its tactics and adopted a new strategy: from early 2010, the focus has been on reassuring Israel. The idea seemed to be that if Israel’s security needs were given “rock solid” guarantees, then Israel would be relaxed and reassured enough to negotiate more…seriously. In the Spring of 2010, the Obama team reinforced what has been American policy for decades, but announced it in a big way: unqualified support for a “Qualitative Military Edge” [QME] for Israel, which we have written about previously on this blog. Obama announced an increase in military spending for Israel — $30 billion dollars over the next ten years. On top of that, the U.S. gave additional money to allow Israel to develop the Iron Dome missile defense program. Just this week, Israel deployed a fifth and upgraded Iron Dome battery to protect Tel Aviv, which had never been attacked by fire from Gaza before — and was previously out of range, and Israeli officials have indicated they need a total of 13 portable Iron Dome units [at a reported cost of some $50 million dollars each] to feel sure about protecting their country. The Iron Dome battery is not effective in short distance ranges, for the Israeli communities in the Gaza perimeter, nor for long distances, but it is portable. So far, Israel has reportedly fired nearly 400 Iron Dome missile interceptors [which reportedly cost some $40,000 each]. The Iron Dome system has been effective in the current Operation Pillar of Clouds — but even a few failures are costly and frightening. Yesterday afternoon, a 6-floor apartment building in Rishon letZion, not far from Tel Aviv, was badly damaged by a direct hit. At least one person was injured, but no deaths. Also yesterday, a second round of long-range [M-75s, Hamas calls them] missiles was fired towards Jerusalem, where there is no Iron Dome protection. It is unclear what the intended target, but in any case it fell near the Palestinian town of Beit Ummar in the southern West Bank, landing in an open area. That is the policy the U.S. is still backing and pursuing. In the current Israeli military operation, President Obama and every other official in the Administration who has spoken out has backed Israel’s right to defend itself. The U.S. reportedly announced a few days ago that it was sending another $300 million dollars for Iron Dome defense. So it is in this context, as Reuters reported, Clinton spoke yesterday upon arrival — and both Netanyahu and Clinton referred to the Iron Dome system. Netanyahu, who earlier lectured UN Secretary-General BAN Ki-Moon [who had urged “restraint”] on the his view of the security situation, apparently said less with Clinton: “If there is a possibility of achieving a long-term solution to this problem with diplomatic means, we prefer that. But if not, I’m sure you understand that Israel will have to take whatever action is necessary to defend its people”. But, the rigid — “rock-solid” — U.S. support for Israel’s security and for its defense against missile threat is juxtaposed against Israel’s targetted killings, which it used to start Operation Pillar of Cloud, and which it continued yesterday. Israel has justified killing journalists working for Al-Aqsa TV and for targetting media offices where Hamas officials were being interviewed. This strategy runs counter to most interpretations of international humanitarian law. But Israel — and the U.S., in its post 9/11 policies and “war on terrorism” by any name — have put themselves outside of this consensus. They appear unmoved by the reaction. Whatever outcry there is against this is limited and reported in only part of the media. Those European countries who have not covertly participated in these operations have chosen to look away. European leaders this week have used the same expressions as Obama officials, speaking only in support of Israel’s right to defend itself. UNSG BAN Ki-Moon, who is more sympathetic to the “UNGA move”, will visit Abbas a couple of hours later.